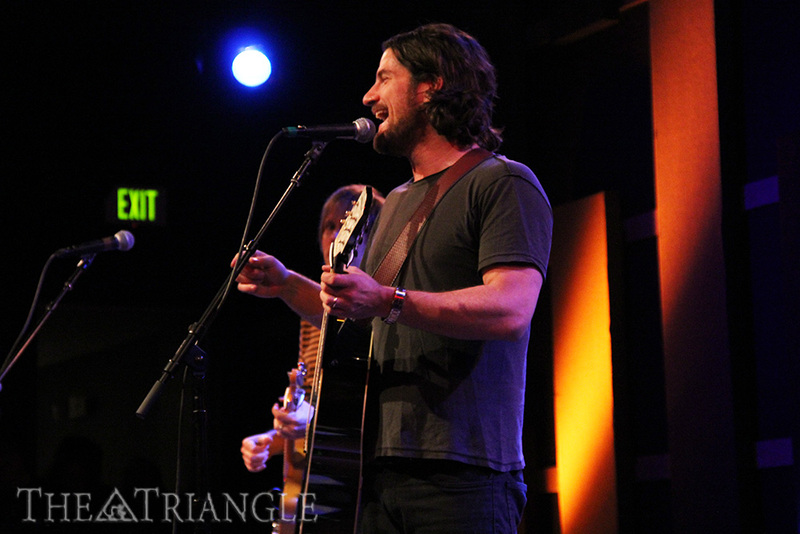 Matt Nathanson (pictured) played at XPN’s Musicians on Call benefit on Feb. 20. Playing his hit songs such as “Come On Get Higher,” Nathanson headlined the event. On Feb. 20, 88.5 WXPN hosted its 10th annual Musicians on Call benefit at World Cafe Live. Local Philadelphian Chris Kasper opened the event for the headliner, Matt Nathanson. Most easily identified by his three biggest hits — “Come On Get Higher,” “Run” (with Sugarland) and “Faster” — Nathanson put on an amazingly memorable performance. Nathanson finished his set out with one of his most popular songs, “Come On Get Higher,” and the audience sang the lyrics at the top of their lungs and clapped wildly as the duo left the stage with a “thank you, all” and a wave. Now the riotous crowd screamed for an encore, and they erupted into applause when Matt walked back across the stage by himself to thank WXPN for all they’ve done for him — they were the first radio station to air him back in 1998 — before grabbing his acoustic guitar and launching into one of his classic songs, “Little Victories.” Strumming and singing out to the audience, Nathanson gave a beautiful and heartfelt send-off. Nothing is quite the same as live music performed well, and nothing can top the feeling you get in the pit of your stomach when listening to a performer bear their heart and soul out onstage. Once the music started, all the waiting proved to be worth it. The 10th Musicians on Call benefit was a success not only for Musicians on Call, but for Chris Kasper and Matt Nathanson as well.